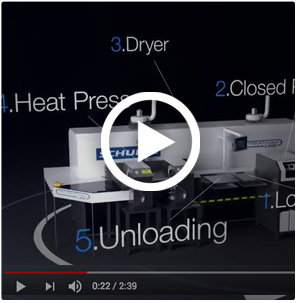 The world's FIRST self-contained industrial pretreatment device for the full process of preparing garments. 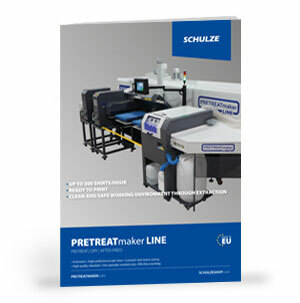 The PRETREATmaker LINE prepares textiles for textile printing by means of rotating mechanics and various processes. 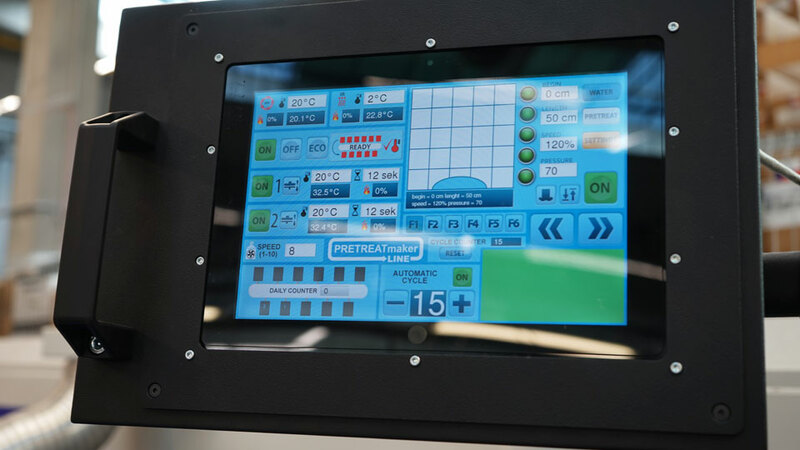 The machine connects all processes with each other so that the user activates an operation and all procedures are processed one after the other. 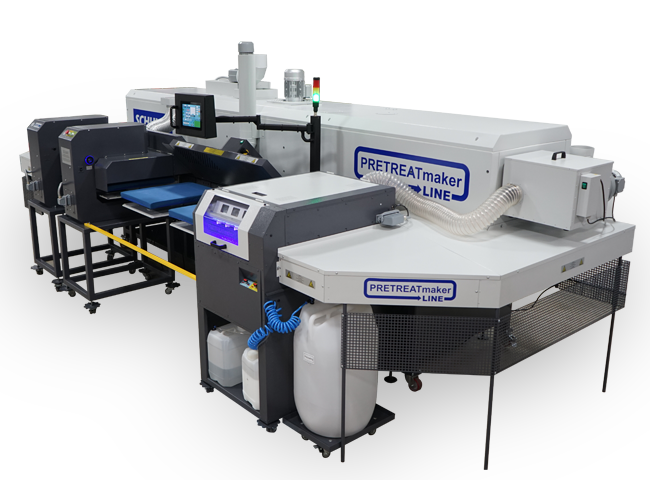 Due to its construction, the PRETREATmaker LINE machine can be operated by one person. 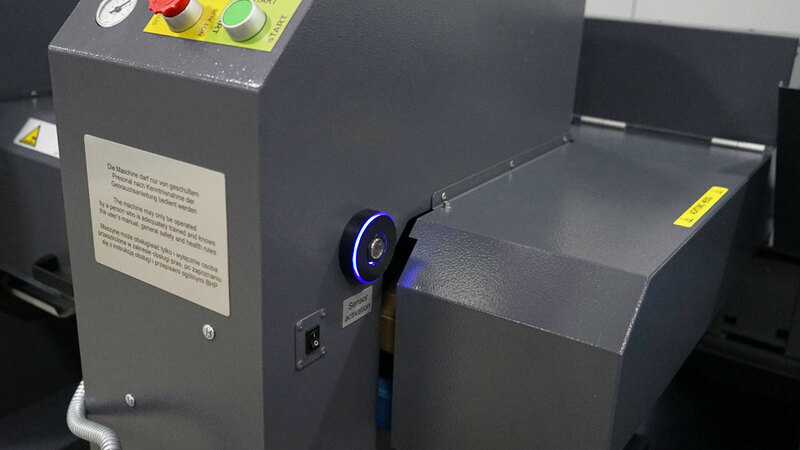 All textiles are returned to point A, can be removed and the machine can be reloaded, eliminating the need to travel to other machines. 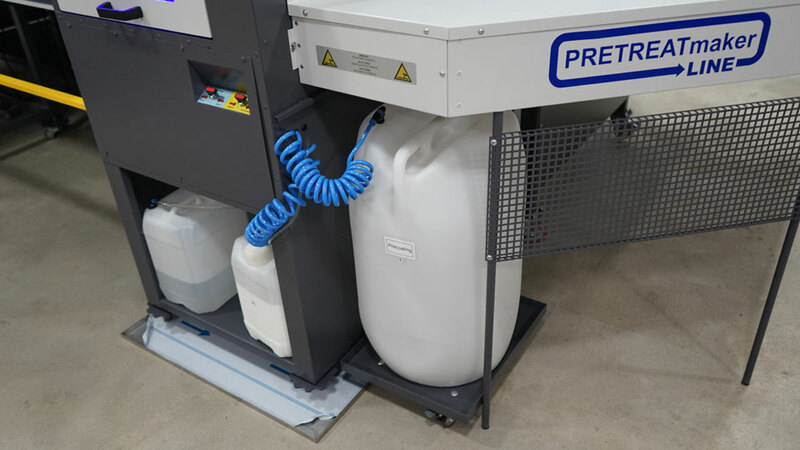 Thanks to its closed stations and compact design, the PRETREATmaker LINE machine is a clean and effective solution for the pretreatment and fixation of textiles for textile printing (DTG). 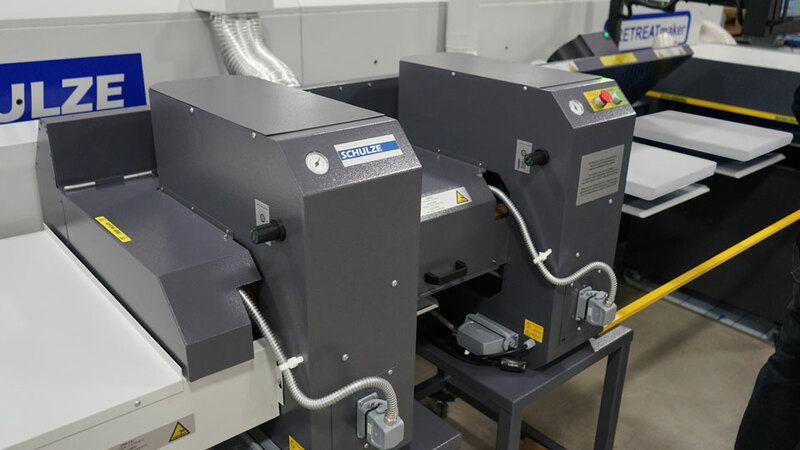 This process allows a person to prepare industrial textile production quantities without the need for additional equipment. 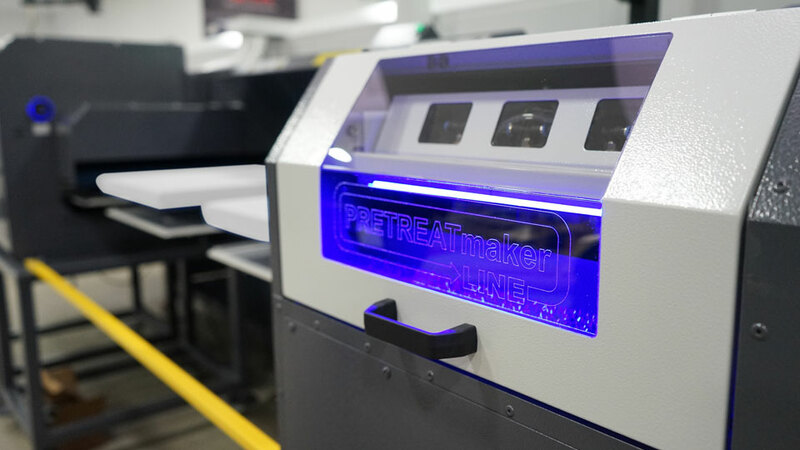 The integrated pre-treatment, pre-drying and final pressing greatly reduces the impression (halo effect) of the textiles.